Using bell furnace is an affordable method of heat treating when used with multiple bases. We are known in the market for providing custom range to our clients. Meta Therm Furnace Pvt. Ltd has emerged as one of the eminent Bell Furnace Manufacturers In Mumbai. You can use these products in treating a wide variety of materials, and it will perform flawlessly with each one of them. This Bell Type Furnace can be used for normalizing, annealing, tempering etc. So, if you need a furnace that can bear high levels of temperature, this is the right unit for you. High-Temperature Range - These can provide a high-temperature range to perform a wide variety of processes in a heat-treatment facility. Flexible Designs - You can avail these in different designs as per your own specific industrial requirements. 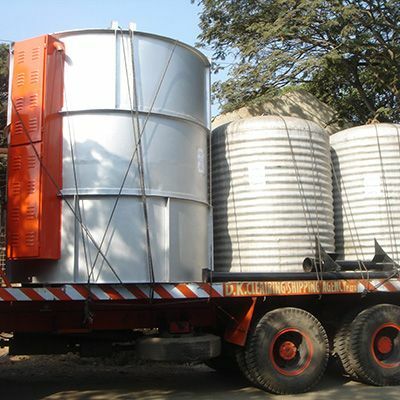 Grade Raw Material - We have used grade quality raw material in manufacturing this unit to ensure maximum durability. Our company has carved a niche for itself as one of the renowned Bell Annealing Furnaces Exporters and Suppliers in India. If you have any doubts regarding our Electrical Bell Furnace, talk to our executives to clear them.